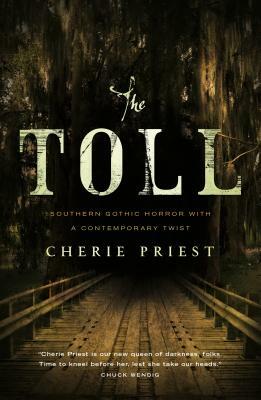 Cherie Priest debuted to great acclaim with Four and Twenty Blackbirds, Wings to the Kingdom, and Not Flesh Nor Feathers, a trilogy of Southern Gothic ghost stories featuring heroine Eden Moore. She is also the author of Fathom, Dreadnought, and Boneshaker, which was nominated for a Nebula and Hugo Award and won the PNBA Award and the Locus Award for best science-fiction novel. She is an associate editor at Subterranean Press. Born in Tampa, Florida, Priest went to college at Southern Adventist University and earned her master’s in rhetoric at the University of Tennessee. After spending most of her life in the southern United States, she recently moved to Seattle, Washington, with her husband, Aric, and a fat black cat named Spain.